Phthalimides have found their main application in organic synthesis as protecting groups for primary amines during the multistep synthesis of biologically relevant targets. On the other hand, phthalimide functionalization is rather challenging and it is traditionally associated with the use of over-stoichiometric amounts of environmentally hazardous reagents. 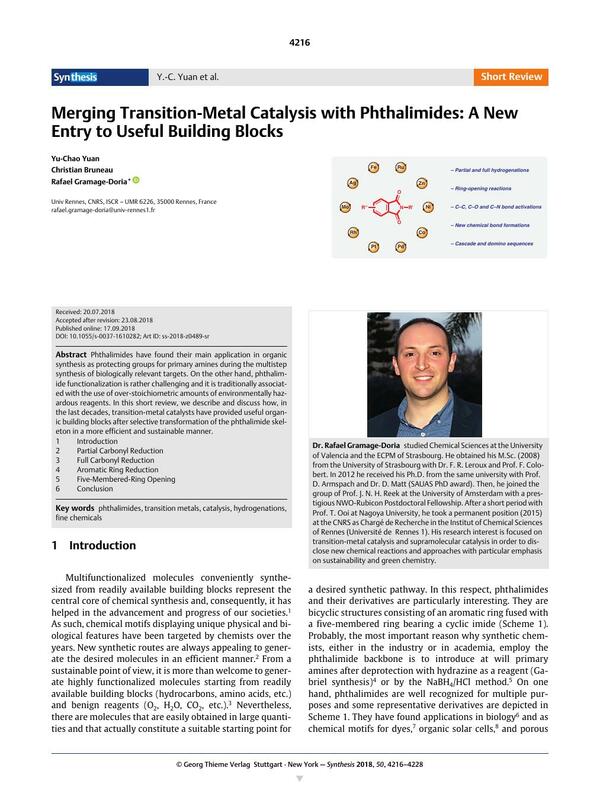 In this short review, we describe and discuss how, in the last decades, transition-metal catalysts have provided useful organic building blocks after selective transformation of the phthalimide skeleton in a more efficient and sustainable manner. 20c See also ref. 13l.